When audiences first saw Jessica Lange on screen, she was an object of fascination for a giant ape. The 1976 King Kong remake was not a great film, but it showed the world how beautiful Jessica Lange was then -- now, we know her to be one of the greatest actresses of her generation. She's proven her acting chops time and again, having won awards for her film, TV and stage work. Her unforgettable performances in The Postman Always Rings Twice, Tootsie, Frances, Sweet Dreams, and Crimes of the Heart established her as one of the iconic actresses of the '80s, and her more recent performances on the TV shows Grey Gardens, American Horror Story, and Feud have proven her longevity in an industry that fetishizes youth. Her personal life has included relationships with ballet dancer Mikhail Baryshnikov and actor/playwright Sam Shepard, and she is the mother of three children. Here's a look at Jessica Lange then and now -- it's been quite a journey from fresh-faced model-turned-actress to the upper strata of Hollywood. 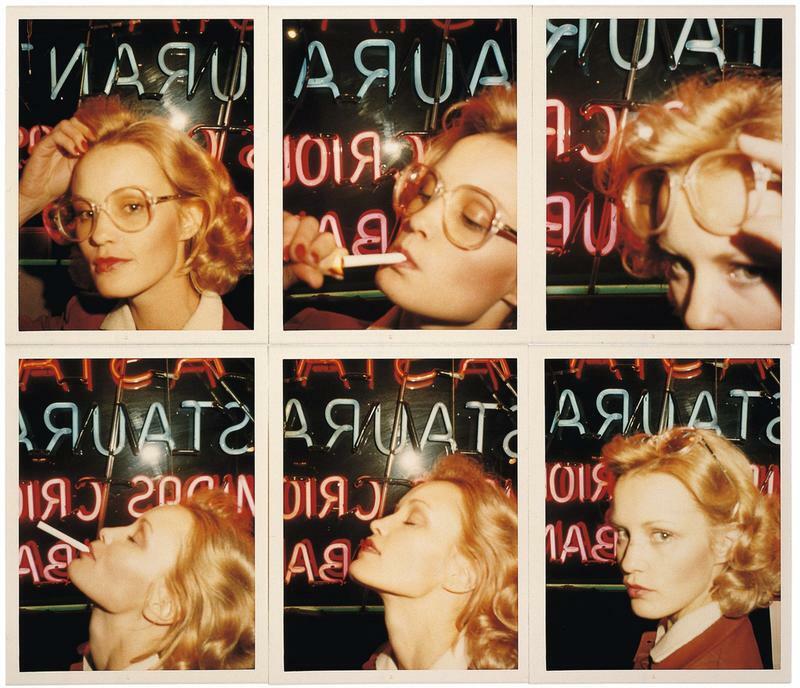 A Paris fashion illustrator named Antonio Lopez helped the young Jessica Lange, who at the time was roommates with Grace Jones and Jerry Hall, land a modeling contract with Wilhelmina Modeling Agency. Hollywood producer Dino De Laurentiis noticed Lange during a modeling shoot and thought she would be perfect in his upcoming film project, the remake of the classic 1933 King Kong. De Laurentiis said that Lange reminded him of the beautiful damsel in distress Fay Wray, who was featured in the original King Kong. De Laurentiis made the bold choice to cast Lange in his remake, passing over established actresses like Meryl Streep and Goldie Hawn. "[King Kong] happened so fast, like over night," Lange told Andy Warhol's Interview magazine in 1979. "They called me in the evening and said could I fly to Los Angeles in the morning to test. I said sure. Because I figured if nothing else it was like a trip to L.A. and I’d never been there before and it was a chance to do a screen test. I was never thinking past the moment. I did the screen test and I got the part. I started shooting the next week and then it was eleven months shooting and another two or three months of publicity tours. ... It happened much faster than I had expected it and in a completely different way than I had expected to do it." King Kong was a box office success, though not a critics' favorite. Jessica Lange won the Golden Globe for Best Acting Debut In A Motion Picture, and spent the next few years studying acting. Acting wasn't only her calling -- it was a way out of an unsatisfying modeling career. "Successful model? That's a myth," she remarked to interviewer Dougie Thompson. 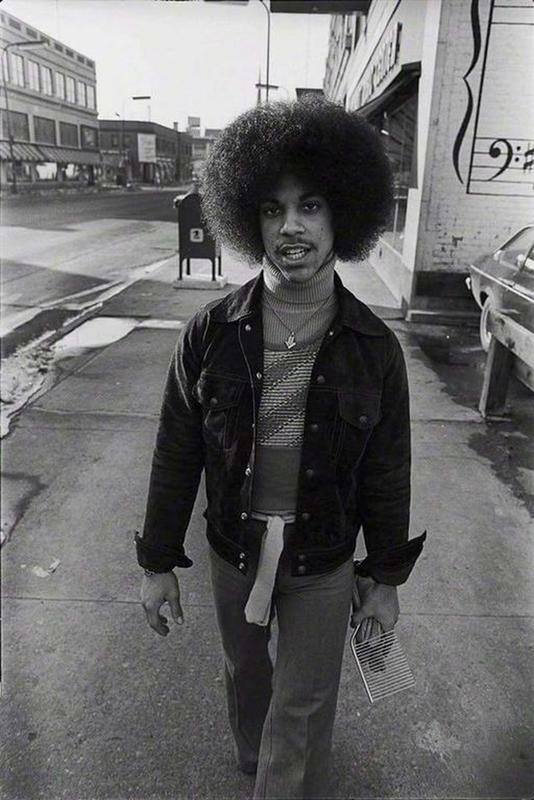 "I doubt that anybody could find a published photograph of me. The year I modeled was the most painful year of my life. Editors would always talk to you in the third person as though you were merely a piece of merchandise. You get to a point where you are tired of worrying about how people are going to judge you. In your twenties your buffeted around. I'm not pretty. I am pretty. Am I talented? I'm smart, maybe? Forget it." From 1970 to 1981, Jessica Lange was technically married to Paco Grande, a photographer. But the two had separated in the mid-seventies when Lange returned to the United States from Paris and didn’t file for divorce for many years. 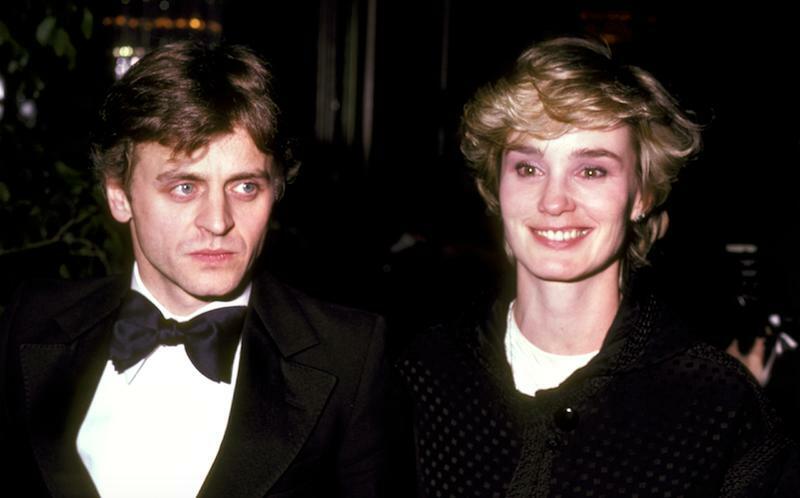 In the late '70s, while she was still married to Grande, Lange began an affair with the handsome and brilliant Russian dancer, Mikhail Baryshnikov, who had recently defected from the Soviet communist regime. Baryshnikov fathered Lange’s first child, Aleksandra Lange Baryshnikov, who was born in 1981. Lange split with Baryshnikov a year later. After King Kong, Lange focused on the craft of acting, and didn't appear on the big screen for three years. Her second film was 1979's All That Jazz, directed by legendary dancer and choreographer Bob Fosse. In 1981, she again appeared in the remake of a classic film, The Postman Always Rings Twice, opposite Jack Nicholson, in the early eighties. Then, in 1982, Lange had the sort of year all film actors dream of. 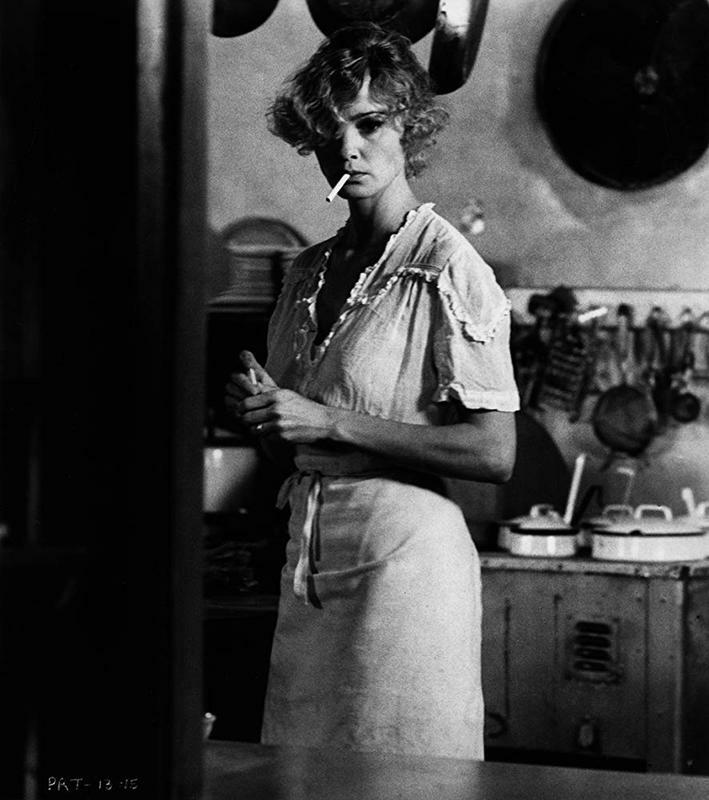 In 1982, Lange played the leading role of Frances Farmer in the biographical movie Frances, and she also played a supporting role in the Dustin Hoffman comedy Tootsie -- and was nominated for Academy Awards for both performances. She was the first person to be nominated for lead and supporting actor awards in the same year since 1945 (in all, just 10 actors have achieved the feat). 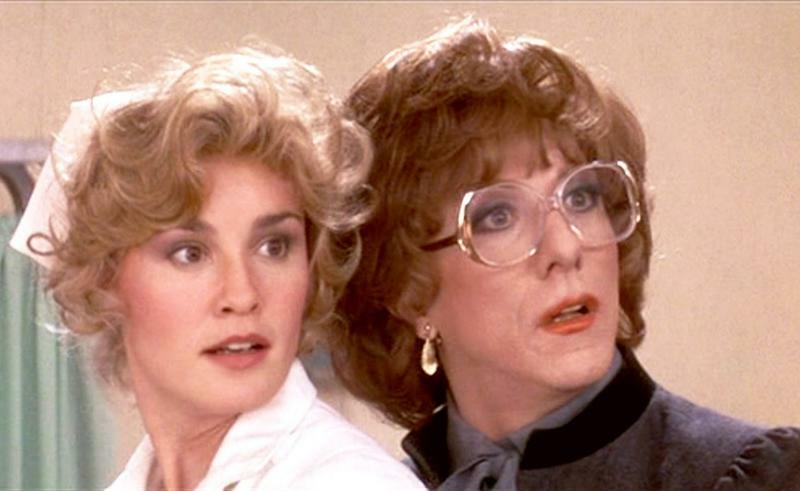 She won the statuette for Tootsie. Acclaimed performances in Country (1984), Sweet Dreams (in which she played Patsy Cline, 1985), and Crimes of the Heart (1986) followed. Shortly after her break up with Mikhail Baryshnikov, Lange was cast alongside Sam Shepard. The two fell in love and stayed together for 27 years, although they never married. With Shepard, Lange had two more children, Hannah, who was born in 1986, and Samuel, who was born in 1987. Throughout the late 1980s, Lange only worked sporadically while devoting much of her time to raising her children. When she was young, Jessica Lange often did summer stock theatre. As her film career blossomed, she longed to return to the stage. She made her Broadway debut in the classic A Streetcar Named Desire in 1992. Playing the role of Blanche DuBois, Lange starred opposite Alec Baldwin. She later reprised this role for the London stage. 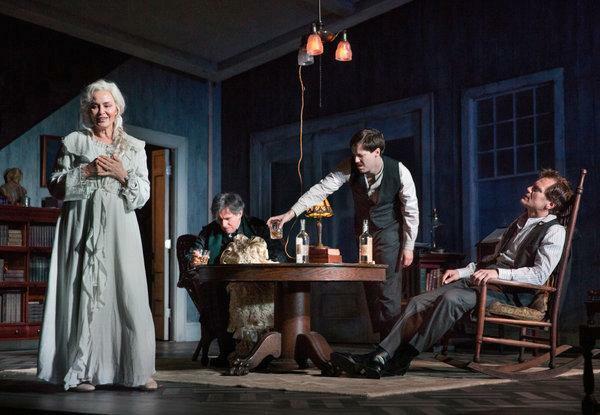 Jessica Lange also played to role of Mary Cavan Tyrone in Long Day’s Journey into Night in both London and New York. Her Broadway performance of this show won her a Tony Award. In 2005, she also starred on Broadway in The Glass Menagerie. 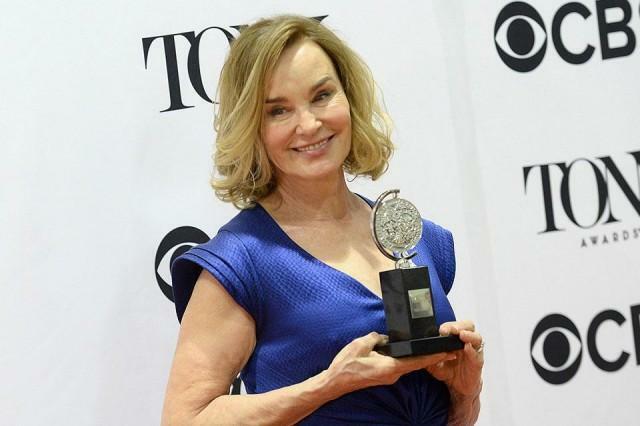 Jessica Lange’s body of work, from when she was young to the present, has earned her several distinctions. Lange is one of only a dozen or so actresses to receive the coveted “Triple Crown of Acting” – an Academy Award, Tony Award, and an Emmy Award. Lange has actually gone above and beyond this. She has two Academy Awards, one Tony, three Primetime Emmy Awards, as well as five Golden Globe Awards. 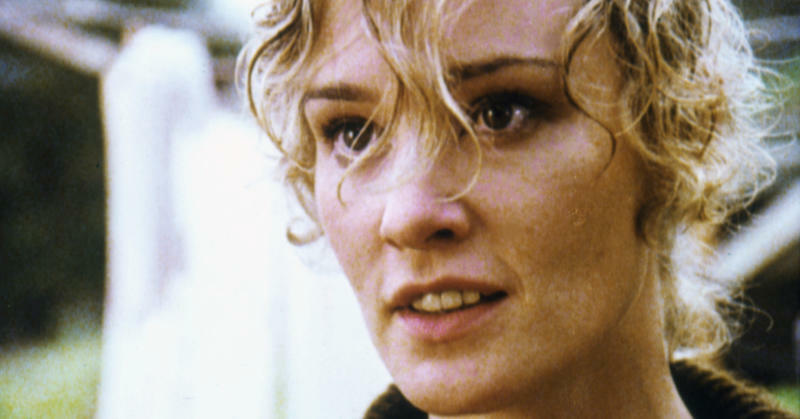 Lange is also the second performer to follow up her Academy Award for Best Supporting Actress with an Academy Award for Best Actress. Although Lange’s first major acting job, in King Kong when she was young, was panned by the critics, her litany of awards and accolades prove that she is a talented and dedicated performer. Some of the intimate relationships that Jessica Lange had when she was young seem to have rubbed off on her and influenced her current endeavors. Photography is a hobby that Lange has enjoyed since her early marriage to Paco Grande. In 2005, she released a book, titled 50 Photographs, featuring her work in black and white photography. 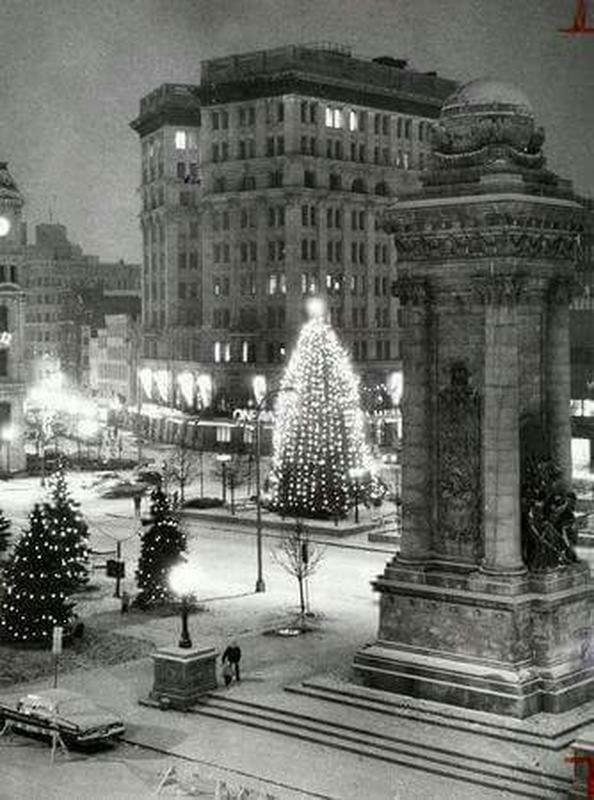 More of her photography was displayed at the George Eastman House, the oldest photography museum in the world and Lange was honored with the first George Eastman House Honor Award in 2009 for her work in both photography and film making. Another of her books, It’s About a Little Bird, a children’s picture book, was published in 2013. The following year, Jessica Lange traveled to Russia, the former home of her one-time lover and father of her child, Mikhail Baryshnikov, to exhibit her work at the Multimedia Art Museum of Moscow. 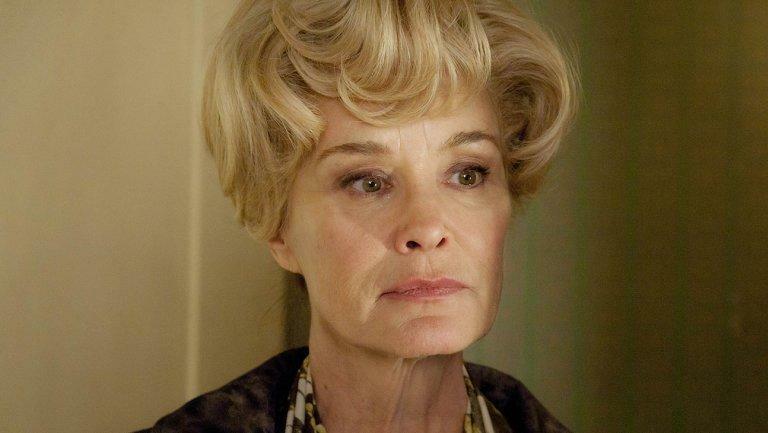 The enormous talent of Jessica Lange was introduced to a whole new generation of fans when the actress signed on for a role in the fan-favorite, television anthology American Horror Story in the early 2010s. Her star power helped the series reach a height of popularity. Fans were even more delighted to hear that Lange is returning to the series for the upcoming season 8. Other critically acclaimed TV work includes the TV movie Grey Gardens (2009) and the miniseries Feud (2017). Jessica Lange uses her platform to promote the causes for which she is passionate. Currently, she serves as a Goodwill Ambassador for UNICEF in the area of HIV/AIDS awareness in both Russia and the Congo. 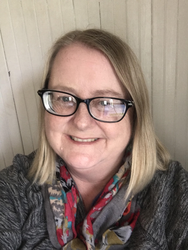 She works to inform citizens of these areas about the spread and prevention of the deadly disease. Lange does not consider herself a member of organized religion, but she has been a practicing Buddhist. She is an outspoken advocate for human rights in Nepal and support of that country’s Buddhist monks. 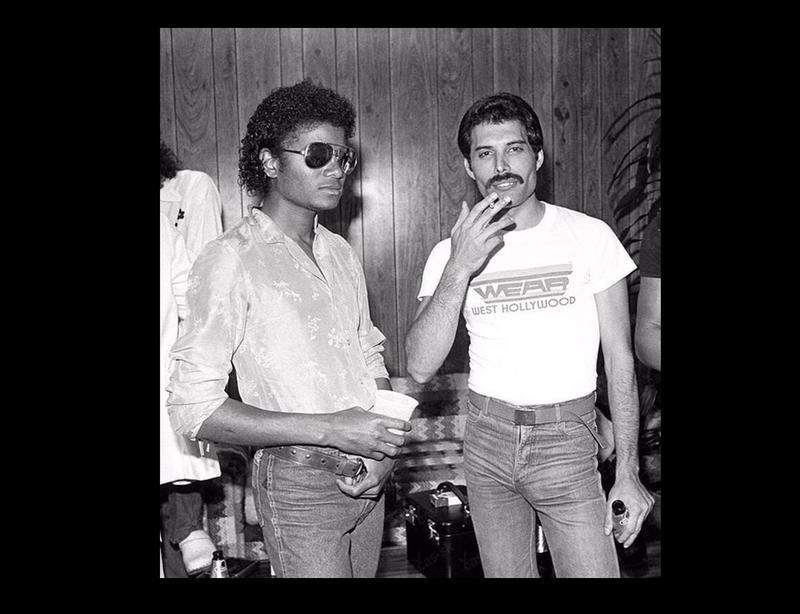 Entertainers Lost Way Too Soon!